Wednesday, 6 June 2018, 2:03p.m. 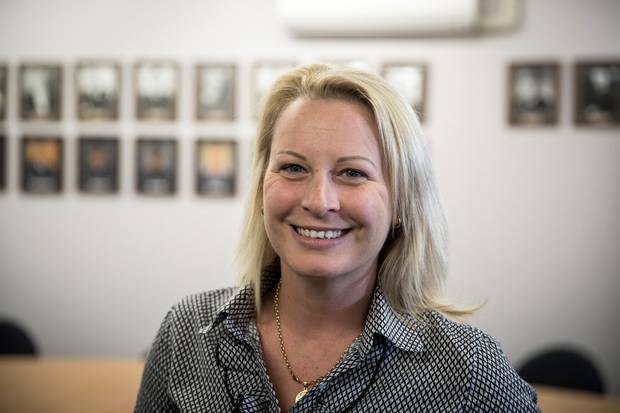 Cancer-fighting Auckland detective Sarah Cato has started treatment to lengthen her life thanks to generous donations of more than $105,000 from the public. Cato, 35, had her first dose of Perjeta yesterday after being approved to start the treatment by her oncologist last week. She was diagnosed with breast cancer four years ago and after undergoing a mastectomy, her doctors revealed the disease had spread and was metastatic, or incurable. Since then she has been through a gruelling regime of chemotherapy and radiation and has been taking Herceptin to slow further cancer growth. But she recently came to a point where she needed to up the ante on the treatment and wanted to try Perjeta - a drug that could give her almost two more years with her family and on the front line of policing. Perjeta, which when used in conjunction with Herceptin, has been shown to reduce the risk of metastatic cancer worsening. The drug is fully funded by Pharmac - but only for patients who have not been previously treated with Herceptin or chemotherapy. So, Cato needed to find the money for Perjeta herself. The cost of the drug and ongoing infusions is at least $130,000. That meant she could start her treatment much earlier than she expected. She still needs to keep raising money to cover ongoing costs, but is well on her way. Cato yesterday posted a video of her receiving her first dose of Perjeta. "I'm just getting my first ever treatment of Perjeta," Cato said, her drip visible behind her. "I just wanted to thank you guys so very very much for making this possible. "We've got a little bit to go in terms of fundraising but we've got some really really excellent events coming up." Cato said her wife Keely and daughter Emma, 10, were also thankful for every dollar that had been given. "My family and I are just so very grateful to you all," she wrote on a Facebook page dedicated to her Perjeta journey. "I feel immense love and kindness from the New Zealand public and also my friends and supporters around the world. "We have a great country and I'm so very proud to be a Kiwi. "I promise you that I'll do everything I can to stay alive and to keep fighting for my daughter, my family and for you." Cato's Perjeta money has come from family, friends, colleagues, current and former police staff and members of the public. Some have made donations of $10,000 and $5000 and others have rallied workmates and social clubs to give whatever they can. Fellow cancer patients and survivors are also backing Cato. One woman wrote about her own experience as she explained why she was donating to Cato's Givealittle page. "In 2007 my friends and family fundraised so I could be treated with Herceptin, which wasn't funded at that time," she said. "I am so grateful for all the money donated and it made me aware that I was surrounded by love through that difficult time. "I hope each donation helps you to understand that people care." A comedy evening will be held early next month to continue raising funds for Cato, headed by Urzila Carlson. A silent auction is also being organised to boost the funds and a date will be set as soon as an appropriate venue can be located. SARAH'S FIGHT FOR PERJETA - CAN YOU HELP? If you can help Detective Sarah Cato by donating money to help her reach her goal of $130,000 for the life-lengthening drug Perjeta visit her Givealittle page by clicking here. To help with her fundraising function by donating a venue or silent auction items email [email protected] and your details will be passed on to the organisers at the Waitemata District Police. Details of upcoming fundraiser events will be published in the Herald.